I've seen fairy lights being put in different types of jars. My favourites were the mason jars and bell jars though.When I went to buy jars for the fairy lights, it was between these two. I found some mason jars which looked perfect at first but I ended up not getting them in the end. It was mainly because the bell jars had a little opening at the bottom for wires to come through. Another reason was because mason jars are quite overused lately so maybe it would be a bit typical to get. When I came across the bell jars, as well as looking beautiful with the fairy lights inside them, I haven't seen them used that much. And because the jar itself is such a beautiful shape, I'll probably end up using it for something else when fairy lights season is over. 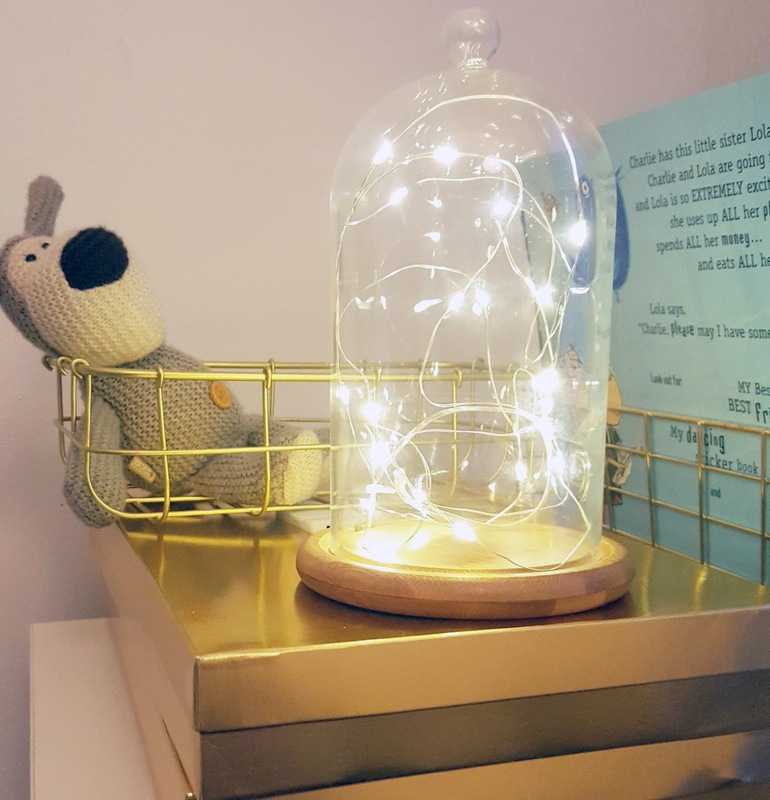 Now where to place this beautiful jar with fairy lights? I thought quite a bit about where I was going to place this particular addition to my decor. In the living room, my bedroom or my son's room? I decided in the end to go for my son's room. 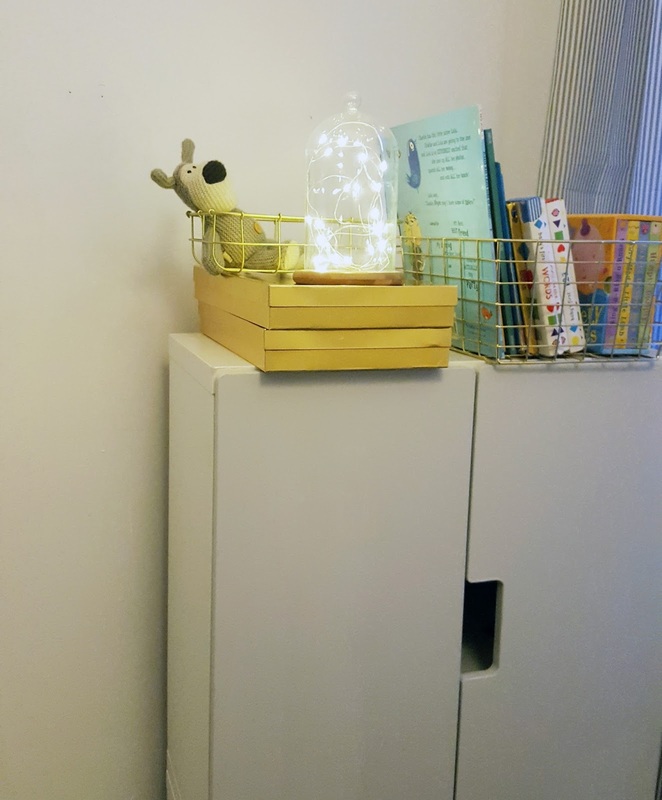 Once inside my son's room, it felt almost like it belonged there. 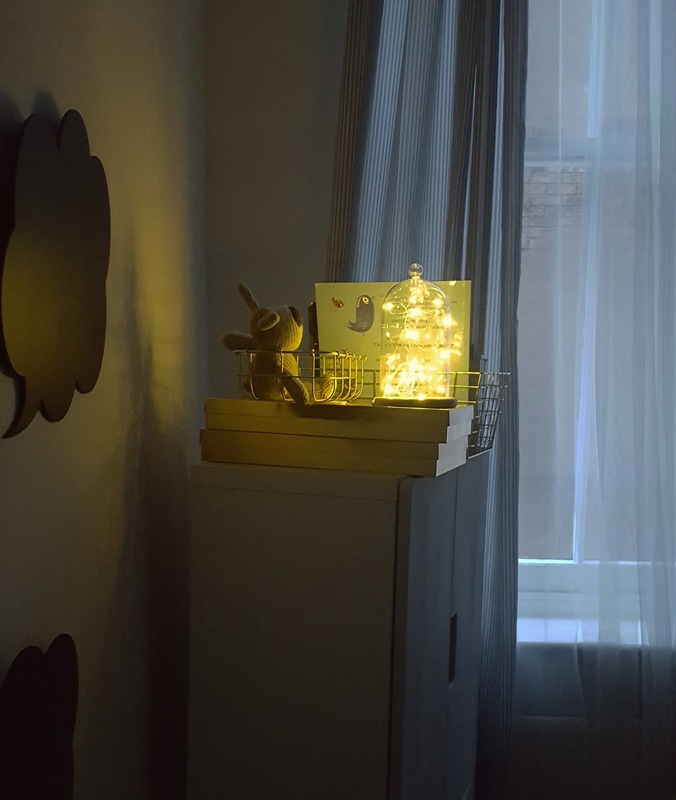 It suits his gold and grey decor and lights up his room in a magical way. It also makes a great night light! So that's his night light sorted! The only thing is, because the jar is glass, I have to be careful that he doesn't get his hands on it. I placed it somewhere he can't reach, on top of the cupboards. Here are some images of how I decorated with it and how the lights fit in with the decor. Thank you so much Rebecca! I hope my post helped with finding ways to style fairy lights at home. 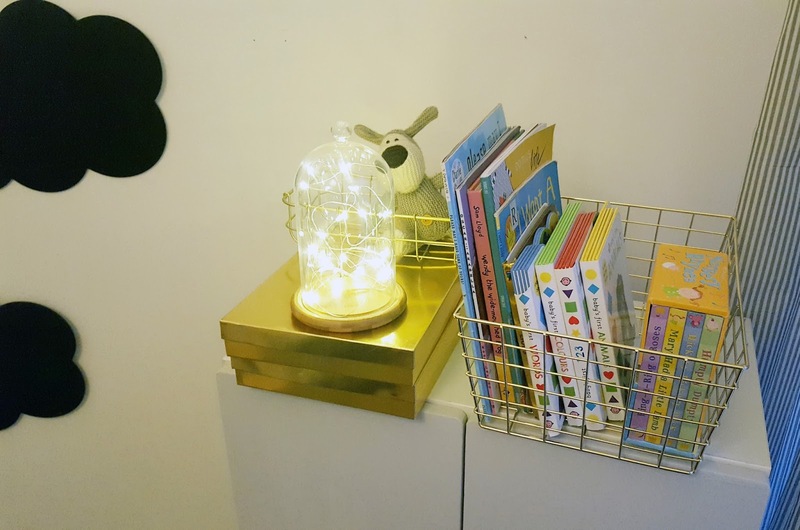 Also check out my post 6 Ways To Decorate With Fairy Lights if you would like more ideas!